George Will said, “Purdue has the president the nation needs” in his column last week. Purdue’s president is former Indiana Governor Mitch Daniels, who flirted with running for the Republican nomination in 2012 before opting out. It’s worth revisiting Daniels 2012 consideration of a run to see that his policy focus would not have played this cycle, though his political style held key lessons Republicans failed to learn. Daniels entire focus in 2012 was on the problem of the federal debt – “the new red menace” as he called it. Daniels was concerned that soaring debt threatened the financial future of the younger generations. He even caught a lot of flack for saying social issues should be tabled in order to focus on the country’s fiscal future. Today the debt is at $19.3 trillion. But no one seems to care. Hillary Clinton doesn’t care about the debt. Trump talks about it, but clearly it’s nowhere near the center of his agenda or appeal. The debt has more or less disappeared as a motivating issue in national politics – at least temporarily in an era of ridiculously low (or even negative) interest rates. Fundamentally, the Daniels policy agenda, whatever its merits, would have been dead on arrival in 2016. Daniels got two things very right politically, however. Things Republicans paid a high price for missing. The first is the downgrading of traditional family-values social issues. Trump has said that he’s pro-life, etc. But nobody is fooled. Trump is a big city social liberal. I like the idea of amending the 1964 Civil Rights Act to include a ban of discrimination based on sexual orientation. It would be simple. It would be straightforward. We don’t need to rewrite the laws currently on the books, although I do think we need to address hate-crimes legislation. But amending the Civil Rights Act would grant the same protection to gay people that we give to other Americans – it’s only fair. Could anybody have imagined Republicans nominating someone who said this back in 2012? While Daniels may have been early in terms of Republican politics, he saw that social issues were losing their potency and were ready to be downgraded. The second item is not related to his 2012 flirtations directly. But it spoke to his appeal as governor that likely would have carried through to any presidential run. Daniels always made sure to maintain his relatability to the working class. 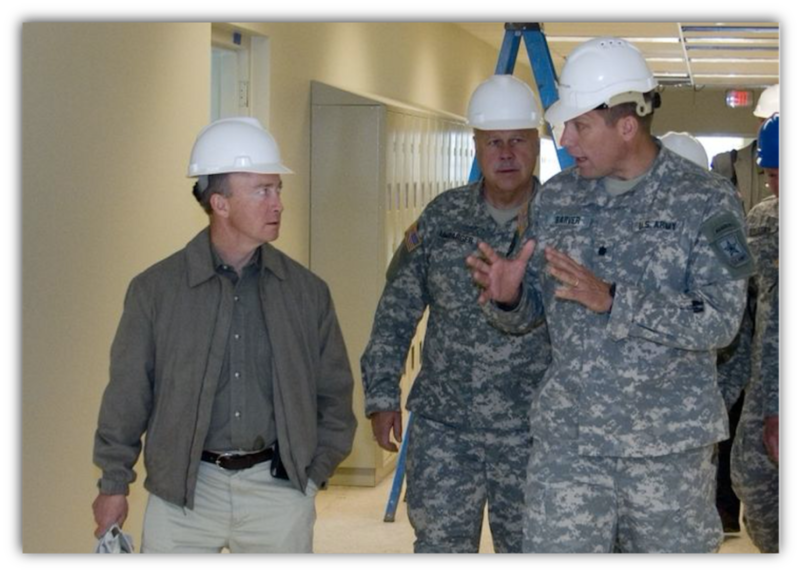 Mitch Daniels is a multi-millionaire who built himself a very nice home in Carmel, Indiana. But he never retreated into an upper middle class/wealthy bubble. While running for governor, he made a point to visit every single county in the state three times, riding around in an RV. Instead of staying in hotels, he made a practice of sleeping in the homes of average Hoosier families. He made a point of eating pork tenderloin sandwiches (Indiana’s signature food) wherever he went. As governor traveling the state, he frequently rode around on his Harley Davidson. He was of course a noted fiscal conservative, who publicized stories of his frugal ways with state government they way that Bill Clinton (another politician who never lost his touch with the common man) used to make sure people saw him eating McDonald’s. The end result was that Daniels gained grudging respect from many Democrats, and was very popular with both upper middle class Republicans and the rank and file working class. Donald Trump used both of these vectors, the dumping of traditional social values issues and a strong connection to the working class, to great effect. George Will may love Mitch Daniels, but he himself clearly failed to appreciate those key lessons that Daniels had to teach. Perhaps Daniels’ “policy focus would not have played this cycle”. That’s not to say it shouldn’t. Biggest need is to curb the war machine. As Saudis sink, US debt ridden economy will suffer as it relies on Saudi’s as linchpin of petrodollar.